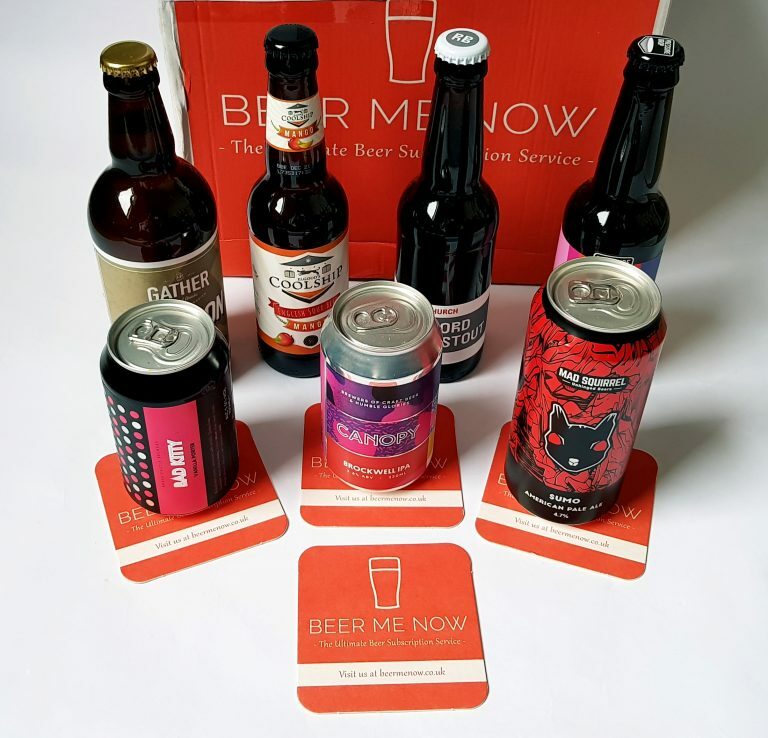 Beer Me Now is a subscription service for beer lovers who are looking for something more adventurous than the supermarket can offer. Every month, two months, or quarter you are sent eight delicious and unusual craft beers, including lagers, pale ales, ambers, sours, bitters, and more. The beers are sent by courier. 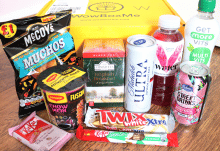 You can adjust your delivery schedule at your convenience, as you’ll probably have to be in to receive it! Brass Castle- Bad Kitty (5.5%). This is a vanilla porter, so while it has the bitterness of porter there’s plenty of sweetness to counteract it. Brass Castle brewery is an award-winning Yorkshire brewery, and all their beers, including this one, are vegan friendly. 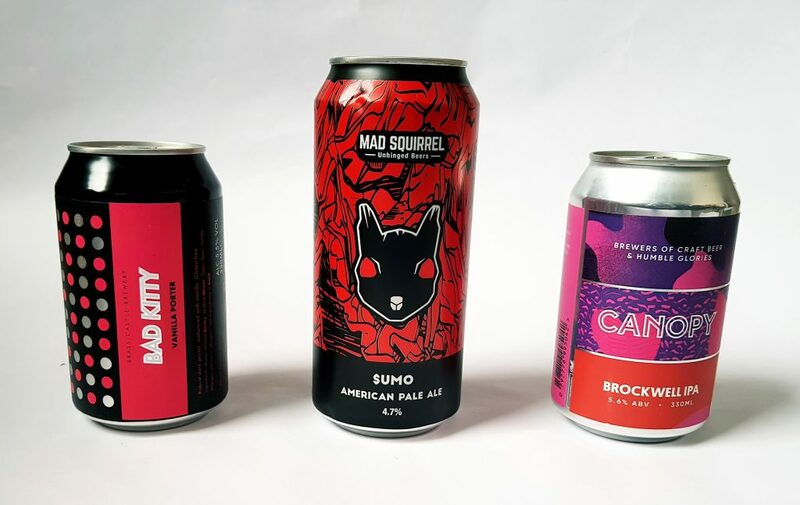 Mad Squirrel – $UMO (4.7%) This American Pale Ale is named after the two hops used in making it. It has a remarkable flavor combination of tropical fruit, dank herbs, and bitterness. The fruitiness would suit hot weather very well! Canopy – Brockwell IPA (5.6%) Another beer which has lots of fruity notes, especially citrus. It’s quite fizzy too. This is brewed in South East London, and this particular beer is named for Brockwell Park next door. Elgood’s – Coolship Mango Sour (5%) This traditionally-brewed sour beer has been blended with mango for a distinctive taste. There’s a nice tart edge to counteract the sweetness, and also doesn’t taste as strong as it is. If you like mango you’ll love this! 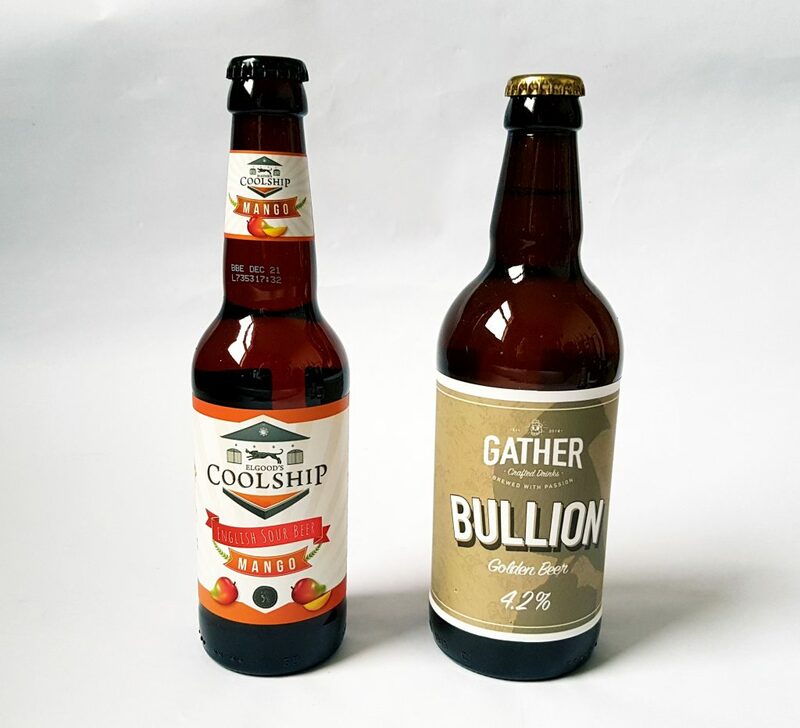 Gather 77 – Bullion (4.2%) Golden Ale or Blonde Ale is closely related to traditional lagers. This one is quite light and refreshing. 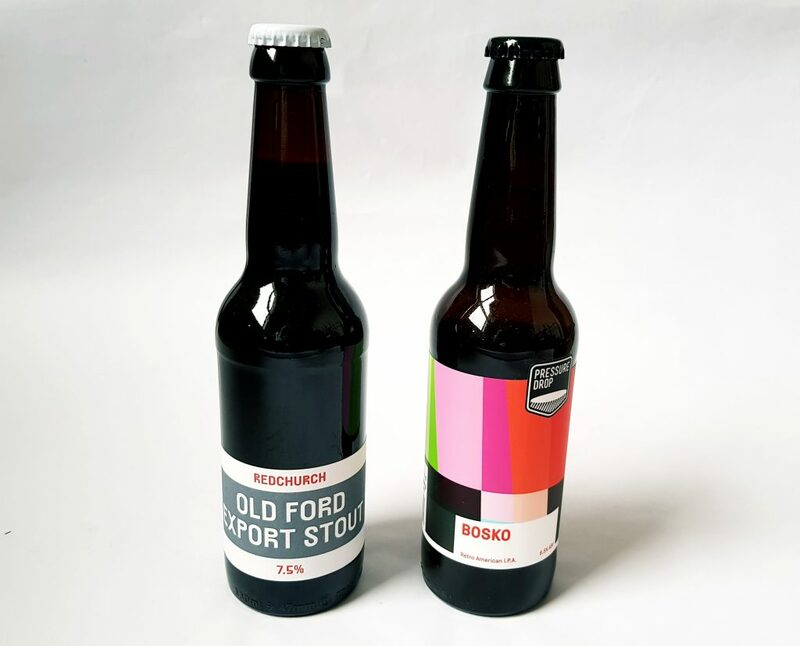 Redchurch – Old Ford Export Stout (7.5%) This is certainly a strong one! 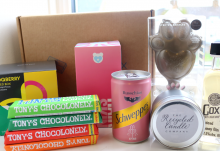 It has complex flavours, including coffee and caramel, and a mild carbonation. Pressure Drop – Bosko (6.5%) Another beer that packs a punch, this is a Retro America IPA. There’s lots of bright citrus flavours in here, with both sweetness and bitterness. 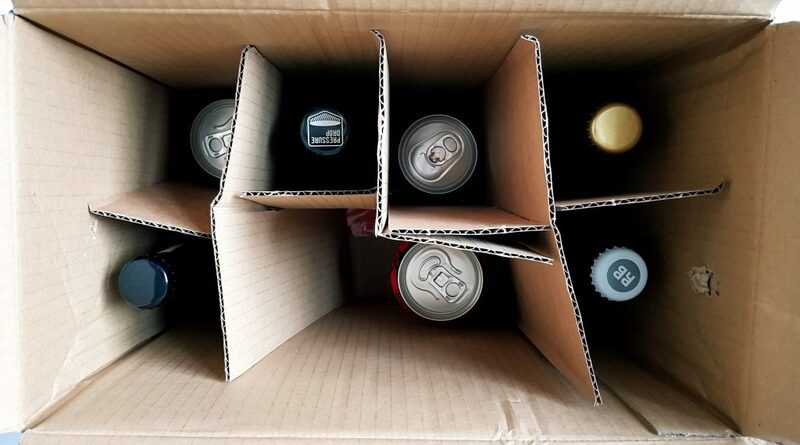 My box is missing one beer – Tiny Rebel – Peaches and Cream IPA (5.5%). It’s described as doing exactly what it says on the tin, with peach and smooth lactose together with IPA. This is really a remarkable selection. As far as I can tell these beers are only available from pubs or the breweries themselves. The mango beer is very appealing, and I’m sorry not to be able to taste the peach IPA as I think it sounds delicious! 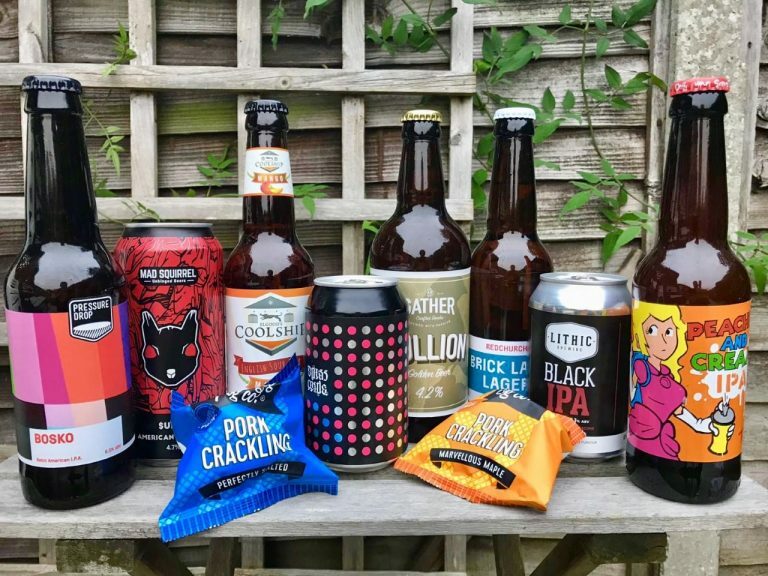 There is plenty of variety, so no matter what your tastes are you will love to explore these flavours and types of beer. As to value, getting this assortment of beers separately would be both complicated and expensive! 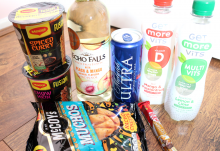 You won’t find these in the supermarket or off licence, so this is a wonderful way to sample a wide variety. Beer Me Now also has a personal touch, so you can contact them with your preferences and they will do their best to accommodate you. They also promise never to send the same beer twice, though if you try something you particularly love they will try to include it again if they have it in stock. Whether you're a beer love or beer-curious, this is a terrific way to expand your horizons, get away from big commercial brands, and try new flavours and breweries. How would you rate Beer Me Now ?